Pasta salad is pretty much the easiest thing on the planet to make. Seriously. It is nearly impossible to screw up (I say nearly because I’m sure somehow someone out there may have figured it out). I’m a fan of making up a batch, throwing in whatever ingredients are in the fridge, eating the pasta dish hot, and then refrigerating the rest to have pasta salad the next day. This recipe can be made year-round, depending on grocer’s produce section. Double the recipe for big gatherings or pot-lucks. 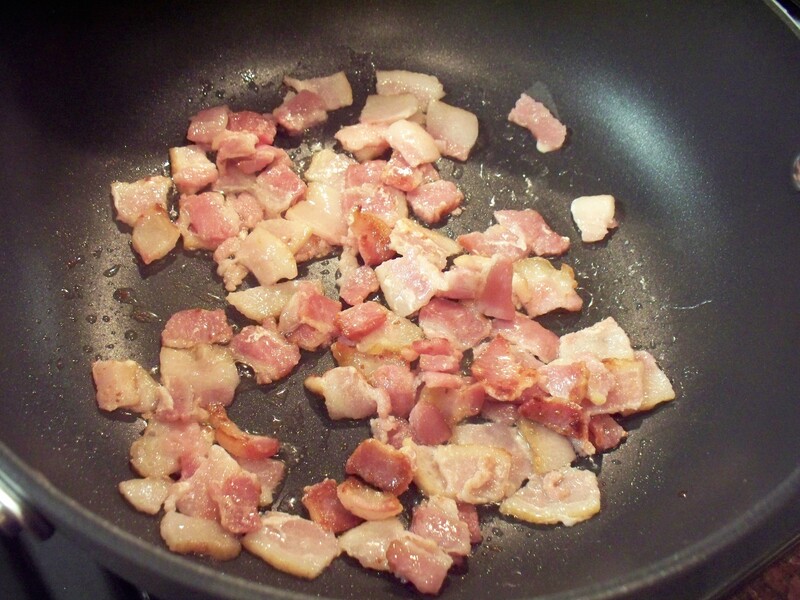 In a medium skillet, cook the bacon pieces over medium-high heat until evenly cooked and golden brown. Remove to a plate and drain on paper towels. 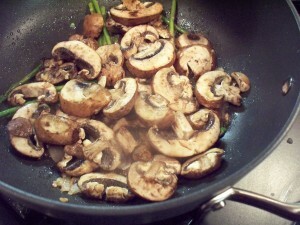 Add the garlic and shallot and cook, stirring as needed, until fragrant and softened (about 2 minutes). 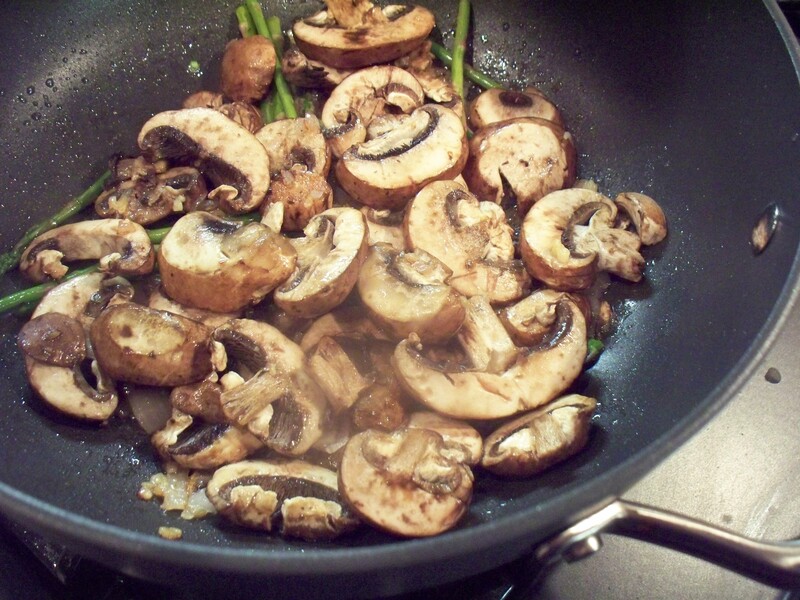 Add the mushrooms and asparagus pieces to the pan and sauté, stirring regularly, until vegetables are tender. 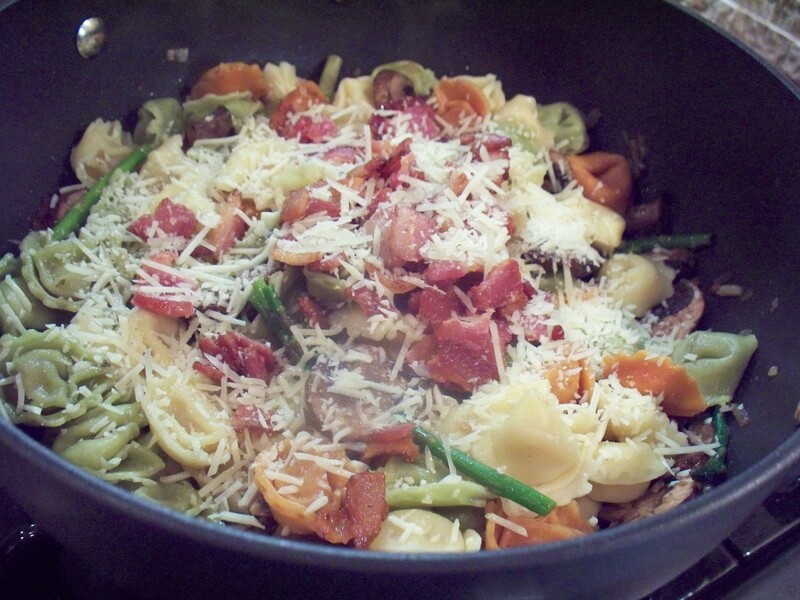 Run the cooked tortellini under hot water and drain before adding to the skillet. Stir to combine with the veggies. 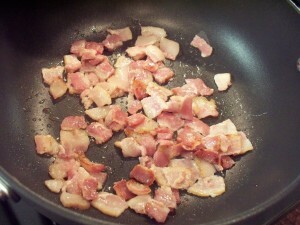 Return the bacon to the pan. Pour the olive oil evenly over the skillet, then take 1/2 a lemon and squeeze evenly over the pasta mixture. Add the cheese and stir well to combine. 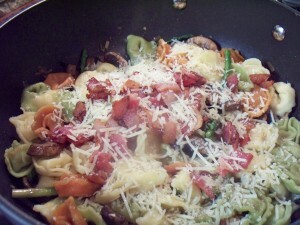 The cheese will begin melting to evenly coat the pasta mixture. Serve now as a pasta dish, then box it up and eat cold tomorrow! asparagus, bacon, leah charney, mushrooms, pasta. Bookmark the permalink. Post a comment or leave a trackback: Trackback URL.